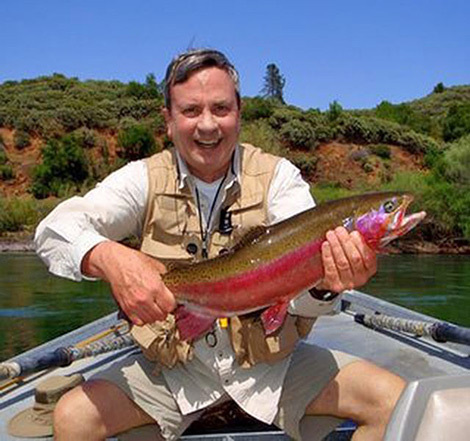 As a Master Casting Instructor certified by Fly Fishers International (FFI), Willy George teaches casting at the Golden Gate Angling & Casting Club (GGACC) in San Francisco's Golden Gate Park. 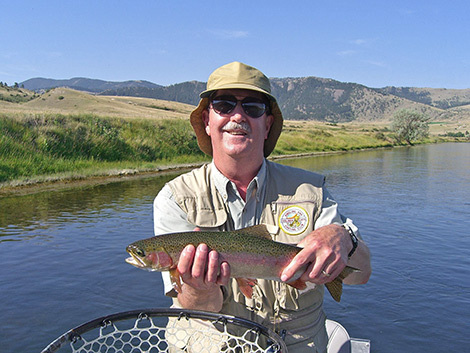 The GGACC, with over 1300 members, is the largest fly fishing club in the world and Willy is serving his fifth term as the Club's President. The Certified Master Casting Instructor is the highest level of accreditation from FFI and recipients have been trained, tested, and certified to be extraordinary teachers of fly casting and fly fishing. Willy serves on FFI's Casting Board of Governors and directs casting instruction for FFI in Northern California. 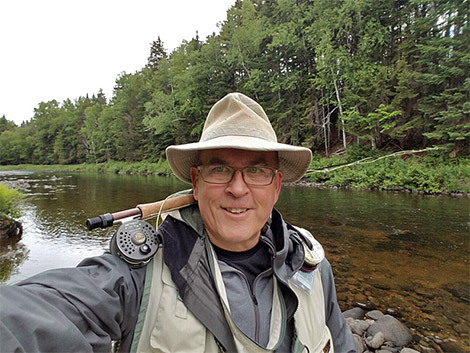 As an avid outdoorsman, Willy has been fly fishing for over five decades and he enjoys sharing his passion for the sport with others. 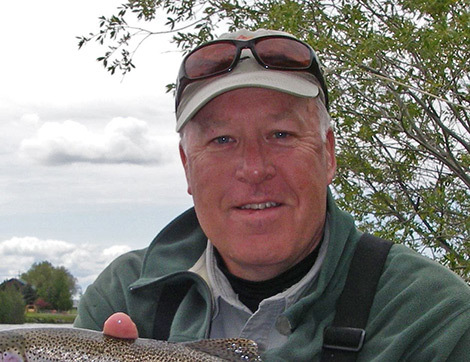 As a result, Willy has taught thousands of fly fishing students from beginner to advanced over the years. He can often be found at the Golden Gate casting ponds in San Francisco conducting casting lessons for individuals as well as large groups, sometimes numbering up to 150 students. He mentors future casting instructors though a CI Prep Program at Golden Gate which trains participants to be both better casters and better casting instructors. 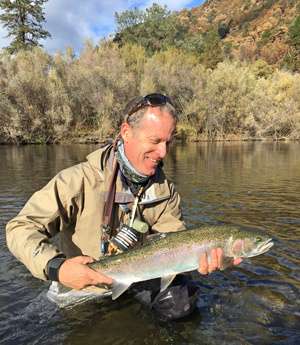 As a faculty member at Stanford University, Willy is the first-ever Instructor of Fly Fishing in Outdoor Education - Department of Health & Human Performance where he teaches an eight-week credited course in both the Fall and Spring. 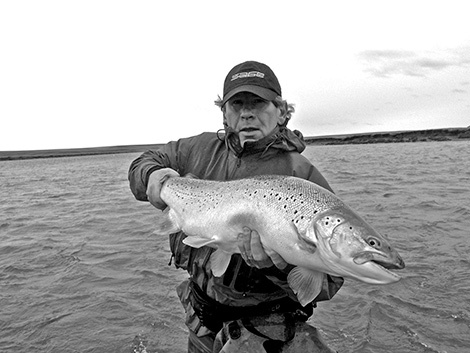 Willy is an accomplished fly fisherman in both fresh water and salt water, in the US and internationally. 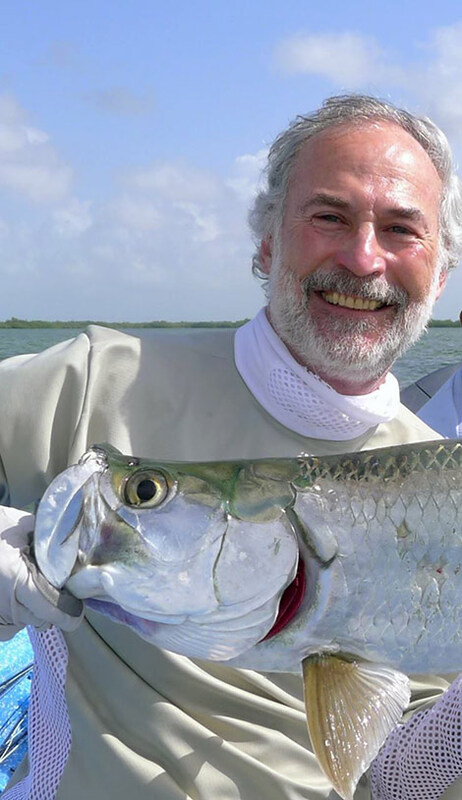 He has caught and released many trophy sized game fish including multiple varieties of trout, bass, striped bass, steelhead, Atlantic & Pacific salmon, muskie, pike, walleye, peacock bass, shad, tarpon, bonefish, permit, redfish, snook, and trevally to name just some of the species. 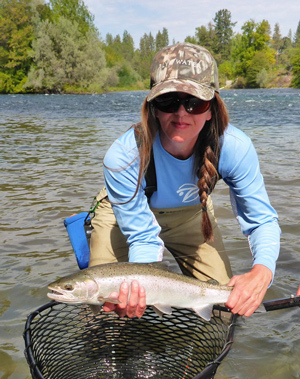 Willy is on the Pro Staff of CF Burkheimer Fly Rods, RIO Fly Lines, Sage Fly Rods, Simms Products, Hatch Reels, Ballistic Flylines, and The Fly Shop in Redding, California. I have never belonged to any kind of club in my life, not even as a kid, yet it is with great honor and privilege that I feel compelled to contribute my time and resources to help ensure the GGACC thrives as the most unique and relevant institution in the sport of casting and fly fishing. The diversity, experiences and background of our membership are what make our Club unique. Here are a few things you might want to know about me: I grew up living in the South of France but my family is from the Loire Valley where I spent my youth fishing and hunting. For 200 years all of the men on both sides of my family have been officers in the Royal and merchant navy. My father was a merchant sea captain and I was born during a trip to North Africa on a naval base in Tunisia. I have been self-employed since I was 23, as an art dealer and artist agent for 30 years as well as the owner of a fly shop for eight. I do all the cooking at home and would rather prepare and cook something wild than something purchased from a store. Until now I have never confessed that I shot the swan than attacked me when I was 13 with the 410 my father gave me at Christmas. Our family property had a river that would flow through the village and a pair of swans would migrate back and forth. The male would charge and attack anyone standing next to the water and one day he jumped on me and tore open my fishing boot. To this day I do not like swans. I have a visceral fear of spiders too after getting bit in Africa. I have logged a million miles traveling the world with a fly rod. The more exotic and wild the destination, the happier I am. I do not consider fly fishing a hobby or a past time. It is a philosophy - a way of life. My girls are growing up with a great love for fishing and traveling - they want to go with me on every trip. Growing up in upstate New York, my boating and fishing experience was pretty much limited to the Finger Lakes. Although my father had some exposure to fly fishing in eastern Washington and northern Idaho, where he grew up, spinning rods and plugs were the norm on the lakes for bass, perch, crappies, and the occasional lake trout. I left the Syracuse area for college in New York City at N.Y. Maritime College. I graduated with a B.S. in Marine Transportation, a license as a deck officer in the U.S. Merchant Marine, and a commission in the U.S. Naval Reserve as a line officer. I sailed on cargo ships and tankers for a few years before taking shore side employment as a marine insurance underwriter, where I spent the next 37 years insuring cargo and ships of all types, working in Philadelphia, New Orleans and finally moving to San Francisco in 1978. Twenty-one years ago I joined the GGACC after one of my wife's co-workers introduced me to fly fishing and fly casting at the ponds. I've loved it ever since and have fished mainly in northern California for trout, as well as Montana and the occasional GGACC fish out. My wife and I travel a lot and I'm always trying to take advantage of fishing opportunities elsewhere during those travels - even back to streams and lakes in NY and Pennsylvania. The past few years of serving on the Board of the GGACC has given me the opportunity to meet many more members and to give back to the Club and the people who have taught me so much. It's an honor to part of the Board as it moves forward with new ideas and finds more ways to respond to the needs and interests of Club members. My grandfather taught me to fish for bluegills in suburban NYC. I recall first casting a fly rod about age 10 - a close family friend taught me by cinching his belt around my chest and upper arm. I progressed to trout fishing in the Adirondacks, and when I moved to California in 1977 I discovered the Sierras, and then Alaska. Next it was on to saltwater flats fishing in the 80s; it was then that I realized my fly casting needed a lot of work. I found my way to the GGACC in the early 90s, and joined with my two young daughters. It was at the Club's ponds where I had my first spey lesson in 2005. Now my fishing life revolves around the GGACC, coastal steelhead, the Trinity, Lower Sac, and McCloud, and annual trips all over the world with my buddies. My day job is Managing Partner of an investment management firm I founded in 1994. I received a MBA from Wharton and a BS from the School of Electrical Engineering at Cornell, where I am on the Advisory Board. My daughter Scotty is an MBA candidate at UCLA, and Paige is a freelance illustrator in Brooklyn, NY. I am honored and proud to serve my fellow members of the GGACC. I've always been drawn to rivers, oceans, and the outdoors. My "Zen" is wading in coastal rivers, throwing my spey rod, in hopes of catching a wild, chrome, steel head. Becoming a member of the GGACC 8 years ago was the catalyst for me learning how to fly fish and spey cast. Thanks to all of the great programs offered here, I have honed my skills as a fisherman and caster and have built lasting relationships with like-minded people. I am a native San Franciscan, and live and work in this dynamic city. My other passions include my meditation practice and conservation work focused on keeping Northern California rivers and the wild fish populations that use them healthy and strong. I joined the GGACC Board of Directors in 2015 and serve as the club's Events Calendar Coordinator, responsible for the online posting of all club events and the resolution of conflicting activities that use the clubhouse and ponds. I joined the club in 2010 after first learning to fly cast that year in the club's free casting lessons. As one of the first to graduate from the club's 3-year long Learn to Fly Fish Program and having later volunteered to manage the first two years of this program, I will be the program's director next year, while still helping to teach its classes and mentor its many students on their fish-outs each year. 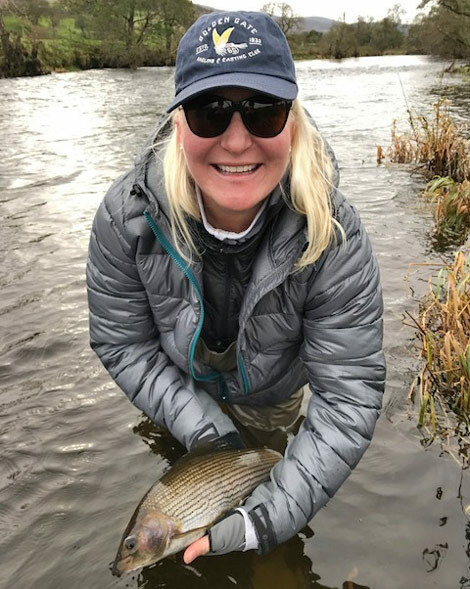 Having recently retired from an extremely time-consuming career as a mechanical construction estimator and project manager for large high-tech commercial and industrial projects throughout the state, I am very happy to have more time now to give back to the club for helping me find my great passion (fly fishing!) and all the joy it brings me. I was raised in Montana as an avid hunter and spin fisherman (I just didn't know any better then). I attended Stanford University where, after a stint in the Marine Corps, I finally graduated in 1975 with both BS and MS degrees in Civil Engineering. My wife Linda doesn't fish, but (thankfully) is very understanding. We have one son, Kevin, who is married. He is a special education teacher in South Korea right now. I was born and raised in San Francisco, and have always been drawn to the water. I grew up surfing Ocean Beach, scuba diving the kelp forests of Monterey Bay, sailing SF Bay, and fishing for leopard sharks in Bolinas lagoon. As a young man I could never get enough time in, on, or around the water, and Northern California is my ultimate playground. I still feel that way! Although I have been fishing all my life, about five years ago I caught the fly fishing bug and there has been no going back. I joined the GGACC to work on my cast, and immediately felt like I had found my tribe - interesting characters, adventurers, protectors of the environment, and (of course) skilled anglers and teachers. I started leading the Rondy Program in 2017, and am now honored to join the board of directors. When not pursuing aquatic adventures, I can be found working as a human resources leader in the tech sector. I hold a B/S in Organizational Psychology from SFSU. I've lived in San Diego and Lake Tahoe, and have traveled near and far, but San Francisco is forever my home. I have to say that my biggest catch is my wife, who always supports and encourages my passion for fly fishing. Our family includes two adventurous, beautiful, water-loving daughters and a parrot named Mitch. I became a member of GGACC about 5 years ago, when I first decided to take the fishing classes. I had fished off an on with my brother previously, and got the fly fishing bug. I wanted to learn more about trout fishing and be more independent, so I signed up for the class at GGACC and here I am five years later volunteering and enjoying fishing more than ever. I live in San Francisco and spent most of my life here thought I did spend seven years in Japan. I really enjoy traveling and now blend it with my love of fishing. I am really proud to be an active member of GGACC and look forward to continuing to contribute to the club. I grew up in New England and I have loved fishing since I was a boy. At an early age I learned to Flyfish and tied flies with my dad. In Cape Cod, ponds in the cranberry country had me fishing for trout, bass, and perch. The estuaries on both shores hold many memories of days catching Stripers and Blues. I am honored to assist with the communication at the GGACC and grateful for the combined effort of the members to build our community.